NEW YORK, March 27, -- Raising their hands as a sign of fealty to the cause, 700 women have pledged themselves, at a conference of the Women's Trade Union League, to help organize all the women wage-earners of this country into trades unions. 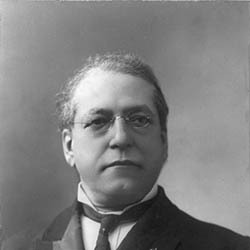 Samuel Gompers, president of the American Federation of Labor, and Miss Jane Addams of Hull House, Chicago, addressed the meeting. 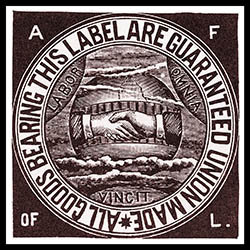 "The essence of a trades union is its practical side. When you can pool your services and offer them in hundreds, just as the man with hundreds of dollars can employ or reject the demand, you must have the power of supply and demand. "The number is increasing of those optimists in this country," Miss Addams continued, "who are prone to say that everything is right and will come out right in the end. But we who are working for the improvement of the condition of wage-earners, are inclined to think that the conditions of women need improvement and that their condition will be bettered only as we concentrate intelligent thought upon the subject and are active toward that end. "We are inclined to think that the wage-earning woman's position is not fair from the moment when she applies for a situation. She is clearly at a disadvantage. Her needs are immediate. Either she needs money for the evening's meal or they need her money at home to pay the rent. Now the trades union believes that standing behind her it can give her a little power to counteract the influence of the capital which meets her at the door. We believe that in polling her interests with others she will not stand at the door so awfully alone and so powerless." Miss [Mary] McDowell of Chicago explained the conditions of the girls working at the stockyards and elsewhere in Chicago, pointing out that organization was doing a great deal there toward removing petty spites and class feeling among the working girls. 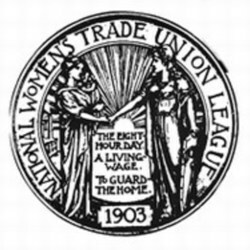 The meeting was the public part of the first national convention of the Woman's Trade Union League, a private and exclusive meeting having been held earlier, at which officers for the ensuing year were reported upon by the nominating committee and announced at the public meeting. 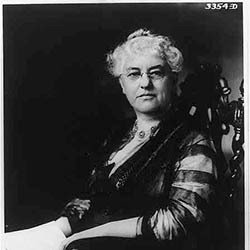 Mrs. Ellen M. Henrotin of Chicago was chosen president. Besides representatives of working women there were present many persons well known in society and a number of settlement workers who pledged themselves to help along the cause. 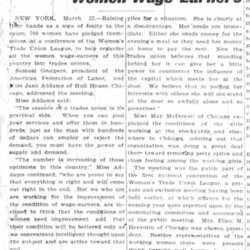 Women Will Organize Women Wage Earners, Oakland Tribune, March 27, 1905, p. 7. 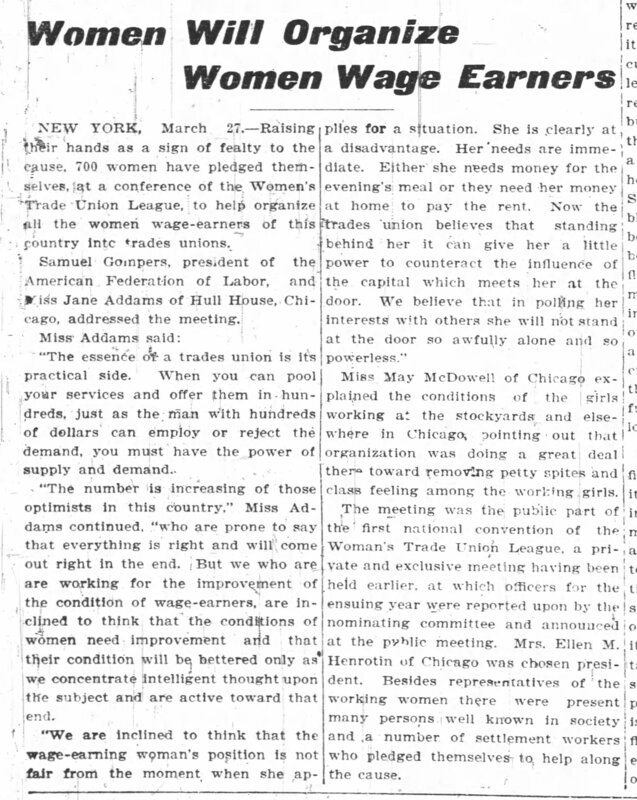 Addams, Jane, “Address to the Women's Trade Union League, March 26, 1905 (excerpt),” Jane Addams Digital Edition, accessed April 23, 2019, https://digital.janeaddams.ramapo.edu/items/show/8234.